When did social media stop being social? Is social media still truly ‘social’? Does anyone remember when social media was shiny and new? When we were discovering new friends on MySpace? When we all migrated en masse to Facebook so we could ‘poke’ all our existing friends? When Twitter was the new kid on the block? Those were heady days: days of discovery and possibility, when new friendships were born and relationships forged. Yes, they were fun and frivolous but they also opened new, exciting windows on our world. YouTube democratised entertainment media, creating a host of new stars. Twitter brought us breaking global news – the Hudson river plane crash, Arab Spring – before traditional news outlets were even able to mobilise. And those days weren’t so long ago. Facebook, YouTube and Twitter were founded in 2004, 2005 and 2006 respectively. Instagram doesn’t turn eight until October but already has over one billion users worldwide. But somewhere along the line, while we weren’t looking, did social media stop being social? 1. Proliferation. First there was MySpace. Then there was Facebook. Then Twitter came along, and Instagram, Pinterest, Google+ and oh so many others. Everyone is everywhere and we all follow hundreds if not thousands of people across multiple channels. It’s no wonder anyone has time to be sociable any more, let alone optional extras such as work, eating and sleep. 2. RSI. Not Repetitive Strain Injury but Repetitive Scroll Injury – that twinge in your thumb from constantly flicking through various timelines in a frantic attempt to keep up to date with who’s been taking photos of their lunch today. 3. Curation. Yes, I’m looking at you, Facebook. I don’t need you to mess about with my News Feed to show me what you think I need to see. I’m happy making my own decisions by scrolling through my Most Recent timeline, no matter how difficult you make it to access. 4. Boastbook. Enough of the constant ‘Look at me! Look at MEEE!’ oneupmanship from people telling me how wonderful their lives are. You’re not fooling anybody. 5. Advertising. In the endless drive for social media companies to monetise their business models, our timelines are increasingly filling up with adverts we never asked for. It’s an inevitable part of social networks being free to use but they can still be annoying. 6. Self-promotion. At least 50% of my Twitter timeline (and that’s probably conservative) is made up of fellow bloggers plugging their latest post or some random post from their archive. 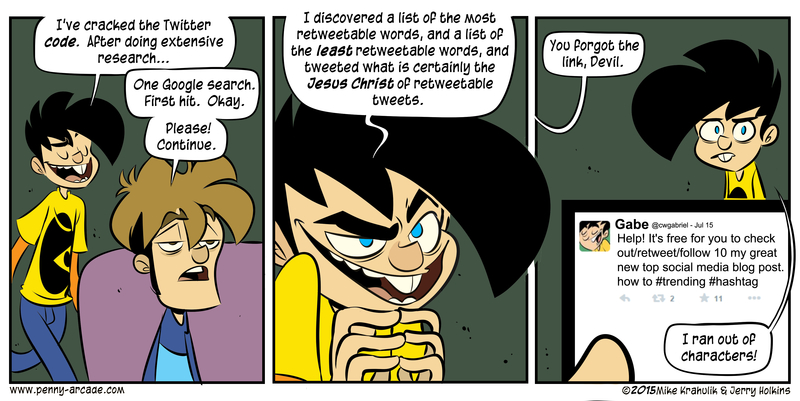 I’m guilty of it too, although hopefully I’m relatively moderate in my self-promotion. It seems that we use Twitter much less these days to actually talk to people – we just talk at them instead. Oh, and by the way, people who ask me to retweet their latest post who never otherwise talk to me: uh-uh, not happening. 7. Gamification. Again, many bloggers (me included) are guilty of this to some extent. We have blog rankings. We have ‘authority’ scores such as Klout. We grow our follower numbers by hook or crook. We post at the optimum times of day. Now I’m not criticising bloggers who are seeking to make an income from their blog, for whom all this is a key part of a professional approach. But it feels like we’re all playing the game these days, and social media is less fun as a result. 8. Trolls and bullies. They have existed online since before social media, lurking in internet forums before pouncing on unsuspecting victims. Trolls whose sole aim is to provoke an argument and persist in twisting their victims’ words and frustrations against them. Bullies who delight in dishing out abuse, hiding behind the shield of free speech. You may disagree vehemently with someone’s view but that’s no excuse to belittle them in the way that certain people do when arguing about sporting rivalries, political views or lifestyle choices. I will always defend anyone’s right to free speech – just as I’ll reserve the right to consider them to be a thuggish idiot when they abuse it. A force for social good? And yet there are times when social media transcends all the white noise. I have made so many friends via social media. I’ve discovered many good causes and amazing personal stories. What social media does brilliantly is to give individuals a voice, creating a new media landscape that is truly, well, social. Let me share a couple of small anecdotes to illustrate the point. Firstly, there’s the 2015 story of the teenager who was caught short in a Virgin Trains toilet when he discovered there was no toilet paper left. He tweeted Virgin, they tweeted back and arranged to send an attendant with fresh supplies to spare his embarrassment. Then there’s my friend Chris. A couple of years ago he and some friends travelled from the US to watch and ride some of the stages of the Tour de France, only for his bike to be damaged in transit. Stuck in the Pyrenees on a weekend without access to an open bike shop able to provide him with a machine large enough for his 6’5″ frame, a surge of support from Twitter eventually helped sort him out, including an offer of a spare racing bike from the manager of one of the Tour teams themselves. That’s pretty amazing, isn’t it? So all is not lost. Social media can still be social. We just need to keep the conversations going. Posted in A dad's life and tagged Facebook, family, fatherhood, parenthood, Parenting, social media, Twitter. Bookmark the permalink. We’re all guilty of some of these, and we all complain about it in a lighthearted way, yet never seem to change our behavior. I wonder what it would take to make social media more social? I think most bloggers are quite genuine in their attempts to balance social interaction with self-promotion, but there are definitely a cynical few who will link-dump and run without bothering to engage their audience in the slightest. I can think of a few individuals who have a tendency to bombard hashtag memes with 20-30 links of their own (to the extent that they drown out other people who are just linking up one or two posts) begging for RTs and, in one case, asking for people to click on ads in their posts. Seriously? Funnily enough, I’ve never bothered reading any of their posts. Love it! I’m a member of a WhatsApp group and we were talking about how Klout scores are supposed to be a measure of social influence but with so many people trying to game the system, they’re going to end up as obsoltete as any other metric. There are bloggers out there who have an agreement to come onto Twitter at X time and all talk to each other, so as to keep up their social media engagement and therefore Klout score. Why? Who knows. I definitely find Facebook is more conducive to more thoughtful conversations with non-bloggers as well as bloggers. Twitter is great for random conversations and banter but it can be hard to locate conversational threads in between all the post links sometimes. It’s not even that individuals are being particularly bad – it’s just the cumulative effect of everyone posting a few links a day that can become a little overwhelming sometimes. Brilliant post Tim – so very true and I am guilty of a few of these. I’ve been trying to step back a little more from the scheduled tweets and be a little more social on Twitter and I love some of the Twitter chats for this. It is hard to keep up with an ever increasing number of social media platforms and easy to miss out sometimes on updates from friends. You’ve definitely given me some food for thought on how I use social media. Thank you for sharing. As with so many things, it’s about achieving a balance, I think. If you post 30 links on Twitter every day and never engage in conversation, people will eventually notice. I tend to make an effort to reply to people or bounce off their tweets whenever I like something, and most days I will have one or two longer conversations with people about some topic that has caught both our interest. It’s nice to remember that, in between all the stuff we do as bloggers to try to encourage people to read us, it’s still possible to just drop in and have a chat sometimes. Whenever I see somebody asking how to leverage their brand across social platforms I want to punch them in the face. I do think there is form of social media blindness, similar to charity overload, where more and more is forced upon us through these platforms it creates almost a dulling of everything else that comes through. Our minds stop processing it all. And then there are the adverts, not so much the ones you get every so often on twitter or the odd targeted Facebook one, but the constant repeated “I can sell you followers” of twitter or the body wraps and hair somethings (I have no idea what that one is selling) of instagram. I’m sure you know the ones where companies have cottoned on to the power of other users but you end with an endless stream of nothingness that no one wants to follow anymore. However, I think there are still social elements that work. I think twitter chats are great, and you can end up having some great conversations with people, sadly all too often only about blogging, but still informative and interesting. And social groups on FB seem to stir up conversations, on whichever topic they relate to. Anyway enough from me I have to spam your twitter feed with my blog posts. I do enjoy a random, rambling Twitter chat, and that’s something I’ve been making more of an effort recently to get back into. Follower farms are the spawn of the devil. Yes, you can boost your followers quickly that way, but they’re just number generators – they don’t drive any real engagement. It may make PRs happy but ultimately it’s a bit self-defeating and hollow. Heh, aren’t we all? I spend the majority of my time on Twitter, some on Facebook and a little on Instagram. I’m on other channels but I don’t really prioritise them. It’s hard enough just focussing on those three. 🙂 Another thoughtful post. Yeah, we’re spoilt for choice and this makes it so difficult to make the most of any of the channels. As for the plugging of posts on Social Media, I suppose it’s part of the sharing of content that could promote interaction and engagement. In fact, I’ll argue that it’s core to what Social Media is about. They serve as anchors for what many of our Social Media conversations are about, in many ways. The issue for me is one of balance. Social media shouldn’t exist purely as an advertising channel for brands and bloggers, although that’s not to say there isn’t room for ads and links. But the point at which irrelevant, saturated promotional content starts to drown out social content is the death knell for a social channel. Balance is everything for me. It’s so easy to go off to one extreme, but there comes a point where doing more of something becomes counter-productive. I definitely agree! I need more balance, a whole lot more! Really thought provoking post. Back in the day I made loads of new friends via social media, got in contact with loads of bands via MySpace and generally opened up my social circles massively. My hubby is the result of online dating, so I am a big fan of the t’interweb 😀 but I definitely get all of your points about how it’s all playing out. Like you say it all depends how you use social media and what you want. I don’t make money from my blog and being realistic I doubt I ever will, I just love writing, sharing my recipes, interacting with others (and I have made some great friends) and it has served as a lot of support for me, and I’m eternally grateful for that support. So if we all put in what we want back, social media can remain ‘social’. It’s definitely all about striking the right balance so that we have an ecosystem that works equally well for the needs of both professional and casual users. I love Twitter but the extent to which my blog account’s timeline has filled up with promotional tweets is annoying – it’s not one individual’s fault, but a result of many people collectively doing the same thing. It’s still possible to have great conversations on Twitter – I have several each week – but you have to work a little harder to find them. I’ve made a number of real-life friends through social media, including starting up a collaborative blog which now runs with a team of seven spread across three different countries. I’ve still not actually met half the team! Love this post! I have a love-hate relationship with social media… as an ex-forum user, Facebook and the like killed off the places I used to frequent, where I made tons of amazing friendships through long conversations on a theme. Facebook groups tried to bring some of that back, but they just aren’t the same. And as a blogger, I was pretty slow on the social media promotion game… I began blogging in 2006, yet didn’t join twitter until 2011!! As for a Facebook page, well that didn’t happen until early this year! I just find it all a bit too much, I’m not really very good at the promotion side of things and find it very difficult mixing it up with the social conversations which I originally loved social media for, you know? That’s not to say that I don’t try to use it for promotion purposes… I’m just not very good at it 😉 That being said, I used to talk loads on Twitter when O was little, but now I have to try and fit in work, parenting, and blogging, I just don’t have the same kind of time as I used to for chatting on social media – I do kinda miss that, but not enough to lose my very limited free time! People are more easily offended, especially on Twitter where it’s hard to fully explain yourself in 140-character chunks. But equally there are more of the trolls and wind-up merchants who have migrated from the forums into the big, wide world. I don’t mind having a constructive argument with someone, but not one where I just get shouted at and repeatedly told I’m wrong and they’re right. Lack of time is definitely an issue for many of us. I’m like you – I used to dip in and out of several internet forums (I still do occasionally when I have the time) and made some real-life friends that way. One of my blogs was born from me getting together with some like-minded friends I met via one of my other blogs and Twitter. And although I do the promotional thing in a slightly amateurish and ham-fisted way, the thing I still like most about social media is those random conversations that go off in all sorts of different directions. Great post Tim. Am holding my hands up as I’m guilty of a lot of this – I’m a very anti-social blogger. I Tweet and share my links, sometimes share the odd one of someone else’s that I’ve enjoyed (like this one!) but that’s about it. I don’t engage in the chat. And it’s not that I don’t want to – it’s just a lack of time – what with two children, one of whom is still not at school yet, blogging, my other freelance writing work, running a home…. the list goes on. Very thought provoking read #musttryharder! I know the feeling, Kate. Time is an issue for so many of us but I’m quite conscious of trying to maintain a balance so that the proportion of my tweets that are self-promotion doesn’t become excessive. I am a small business owner and will hold my hand up as am trying to get my website ranked better so I can gain more local clients with Google searching, its vital for me. However I am doing it all by myself I refuse to pay into FB likes, and use apps to check on my followers. MSN – MotherMands, another giggle to be had! I think you have to experiment and find a balance that works for you. But if you’re conscious of the dangers of overtweeting or oversharing then you probably won’t go far wrong. It’s mostly just a cumulative thing for me. From my blog’s Twitter account I follow a lot of bloggers, most of whom will tweet a few times to promote their latest post. Individually there’s nothing wrong with that but it can so easily overwhelm your timeline with links to endless posts no one has time to read, at the expense of genuine interaction. Social Media is one of those things that I have a constant love/hate relationship with. It can liven up a day but can also bring it crashing down to the floor. Anything that has the power to do that, is pretty powerful! I hate the one upmanship on Facebook in particular but I don’t think I could be without it now. Bit sad huh? I find I’m very easily distracted by social media. I once totted up how much time I spent to Twitter and Facebook in an average week, and it was … well, quite a lot. It’s when I’ve been locked in work meetings all day, open up my Twitter timeline and have to scroll through 1,000 updates, most of them post links, to catch up that I start to feel a bit jaded with it all. The problem is that there’s no easy objective way of rating content – even page views and comments can be ‘gamed’ to an extent. Taking into account social media presence serves as a proxy for some kind of ‘authority. but even those can be gamed to a large extent. I don’t mind the promotion – I just don’t want it to dominate my timeline in the way it does on Twitter at certain times ofthe day. I always link my posts (and occasionally others’) to my blog’s Facebook page but I don’t usually link posts to my personal Facebook page – only when I think they might be a relevant read to my followers. It’s an important distinction to make, I think, as they are generally different audiences even though they do overlap to an extent. It’s a shame – it would be nice if the pendulum swung slightly back the other way and social media became slightly more social again. Time is the big issue for us all, isn’t it? There just aren’t enough hours in the day to do everything. Lately I am so obsessed with social media helping me to gain numbers to the point that (you are right) things are no longer that personal. This post is an eye opener. Something that made me look at my post and see how pushy I am, asking people to go and look at me and my blog. Maybe .. just maybe I will be more sensitive and engaging next time. I think Twitter’s better for certain aspects of promotion but not if that’s all it’s used for. Used well, it’s a great way to engage with your audience in short, sharp chats. Love the anecdotes – lol the toilet paper!!! That story did make me laugh. It’s silly little stories like it that drew so many of us to social media in the first place, I think. We’re all guilty of it at times. But it’s when I have those random chats with people on Twitter or Facebook that I remember why I liked social media so much in the first place. It should be fun, shouldn’t it? Because if it isn’t then it’s just another job (which, for many of us, it will never be). In the early days on Twitter it was all about the chat, whereas increasingly now we’re all shouting loud and often in the struggle just to be heard. Don’t get me wrong, you have to be active in self-promotion if you want to grow, but then it’s also important not to lose sight of why we joined social media in the first place – for many of us, it was for fun. Great points, it is changing with time isn’t it? I’ve just joined Twitter and I totally notice that my entire feed is links! It varies. My parent blogging account is dominated by links, but my personal account isn’t. Having said that, there are still plenty of opportunities for chats if you’re willing to engage, so all is not yet lost! The accusations you make against bloggers….guilty as charged! Moving swiftly on, however, I think we all have to accept that social media has grown up. As you say, we all have thousansd of followers. I can’t keep up with what every does or says or reply to every conversation AND have a life! We didn’t have somany followers in the old days. I recall my first twitter account had a shade over 1000 followers and other people considered me incredibly influential! On balance, I think social media can still do a lot of good once you filter out that vocal minority who seem to be angry about everything. I certainly wouldn’t expect all my followers to interact with everyone else on a regular basis but I think what I object to is those who use Twitter solely for the purposes of link-dumping, in particular those who not only link-dump with tiring frequency but constantly ask you for RTs as well. Funnily enough, I apply the same rules to Twitter that I do to real life – I know, how quaint of me – if I don’t know you first, I’m not going to recommend you! MySpace was just one big adventure at the time, wasn’t it? It’s funny, though, I never made genuine friends via MySpace the way I have on Twitter – even to the extent of collaborating on projects with some without ever actually meeting them. The follow/follow back thing can be quite tedious too. I regularly have a cull of people I follow when I find we don’t really have any interaction or anything in common, but never because they don’t follow me back. That’s a bit too much playing the game for me. Definitely Susanne. I have periodic social media culls where I unfollow certain types of people, such as those who are consistently negative or rude to others. They don’t have to agree with me on things, but if I’m going to have disagreements with them, they need to be respectful and not descend into mud-slinging. The people I’m most likely to unfollow are those who use their accounts for nothing but self-promotion – that drives me up the wall. I don’t mind people plugging their posts – I do the same, after all – but they have to contribute more than just that. I personally love social media, but I do still agree with your points. Twitter in particular moves so quickly it is often hard to interact with people because everything flies by in a blur! Having said though, I have met some amazing people through Twitter who I now class as friends. It’s about finding a balance I think – some days we get it right and other days we get it wrong! Facebook seems to have got a bit weird recently, at least at times. I do enjoy the spontaneity of Twitter and, like you, I’ve made some great friends through Twitter, including six people I set up a blog with without ever having met any of them first! Since being acquainted with Klout, I am guilty of ‘using’ twitter and Instagram to increase my score. Which, to be honest, has taken some of the fun out of it. I have recently decided to stop worrying about Klout and just try and make some friends through social media. I love that story about your friend, the power of social media amazes me! I hadn’t heard the train story! Twitter at it’s best. A few months ago I had a need to contact HMRC, having spent several hours a day in hold to them by phone for weeks I decided to try a tweet. Within seconds my phone pinged a ‘HMRC Help is now following you on Twitter’ and I got what I needed. Similarly when emergency services were rather lacklustre at attending an arson attack at my parents I tweeted a photo and within minutes the police were on site. It’s good and bad in equal measure! However, back to your main point and yes, it does make us somewhat anti-social. I wish I’d had the forethought to have separate private and blog accounts on Twitter like I do on Facebook but hindsight is a marvellous thing and I find it increasingly hard to get the balance right. I’ve gradually evolved and segmented my Twitter so that I now have one personal account, one for each of my three blogs and a fifth that I run for work. It means a bit more work but it’s good to keep different audiences segregated so my content is also suitably tailored. I agree with a lot of this and it’s odd how even an oldie like me can pine for the early days of social media. I have no idea whether teenagers ever think about this. Perhaps it’s simply the nostalgia everyone feels for old communications tools like Bakelite phones or pagers. Actually no I don’t miss pagers. I think the big issue is volume – in the early days of Twitter fewer users meant you felt like part of a club. Now it’s impossible to keep up with the tweets and we all have the FOMO. I agree about Facebook – it feels very much like a marketplace now with most of my newsfeed full of ads and I know I’m simply not seeing a lot of friends updates. But I also know a lot of friends are just not logging in. If a product or experience loses the thing that originally attracted people to it the business model is on borrowed time. So where does this leave us? Perhaps we’ll eventually downsize our social media circles and focus on spending time reading the tweets, status updates, blog posts and watching videos from the people and brands we really care about. Thanks for such a thoughtful and detailed comment, Adrian. Facebook is an odd one. It has changed so much from the service many of us early adopters originally signed up to, but it’s also so ubiquitous now that it’s tough to walk away from it. It is the sheer volume more than anything else that causes issues, as you say. I think it helps to have distinct, segregated Twitter accounts for where you’re dealing with different audiences, which helps keep interests separate. Similarly, for Facebook my personal timeline is very different to my blog’s page. Finding a way to use our time on social media efficiently is a big challenge, and yet I don’t like Facebook’s approach of trying to curate News Feed for me. I’d rather do it myself manually, even though that is more time-consuming. I think as long as you’re conscious of the need to find a reasonable balance you’ll be just fine, Rob. As many others have pointed out, the single biggest challenge is making the time. I often search specific hashtags to see what’s being said. At some point though I got very hung up on ‘consideration’ for the people who follow my twitter feed??! If 50 people followed me because of #SocialMediaTips… It seems unreasonable to fill their feed with 20 minutes of continuous #PNDchat tweets – just because that happens to be my topic of choice in the moment! …I guess I’m sharing this because I’d love your take on it! It’s difficult, isn’t it? There just aren’t enough hours in the day to do all the things with social media we would like to do but splitting up my Twitter account so that each of my blogs has its own separate channel was definitely one of the better things I’ve done, even though it means I have to monitor multiple timelines. It’s funny, isn’t it? Sometimes you need to step away a little bit to rekindle your love for something. There are definitely times when keeping up with all our various social media can feel like more of a chore than a pleasure. It’s up to you how social it is – I find it very much so, because I don’t engage with the spam senders (I just block them) and comment on lots of other people’s blogs, post other people’s stuff, not just my own, etc. I think you can try to do too much, and carry on plodding away with sites you don’t like much – Facebook isn’t my bag (the people who use it don’t post stuff that interests me – I want to read articles about all sorts, not just look at personal pictures of people). I’ve narrowed it all down to just Twitter, now!!! I agree, I loved MySpace, though – that was absolutely the best!! I use mostly Twitter and Facebook myself, and I agree that the onus is on us if we want our timelines to be more social. We choose who we engage with, after all. I love this post so much! Social media is changing so much, so fast and we’re caught between keeping up and needing to keep a safe space to be genuinely social! It is definitely changing at a massively fast rate. It will never go back to what it was – those were much more innocent and pioneering times – but it will be interesting to see how it evolves. Ultimately, social media needs to meet the needs of its users, or existing channels will soon be replaced by others who do. Hi Tim, I thought I would comment, just to express my point of view on this (as a ‘youth’ it’s probably quite different to yours). I can’t say I know much of all this talk about self promotion of blogs, but personally I don’t think that social media has got less social, or at least not for people my age. As far as I’m aware, teenagers (myself included) have moved on somewhat from Facebook or Twitter. We’ve grown up in a world that is always changing technologically, so this isn’t really a suprise to me or my friends, it’s just a fact that at some point the social media we’re using will probably become obsolete or unused in a few years, or maybe even a few months. Instagram is what almost everyone uses right now, and if you had a new friend (whether online or in real life) you would probably ask them for their Instagram username rather than their Twitter or Facebook. I didn’t see you mention snapchat (not to stereotype, but I’m aware of no people your age who use it), but it’s another major player in the world of teen social media. (And it’s almost impossible, as far as I know, to be anti social on there). And trust me when I say I’ve seen social media come and go- ‘touch’ was the only thing any of my peers used a few years ago, and who’s heard of that now? Instagram is incredibly popular in some communities: among younger users, as you say, but it’s also a big thing in the parent community and in some sports too (particularly ones which are visually evocative, such as cycling). I follow around 400 people on Instagram and my feed is almost as busy as Twitter and considerably more so than Facebook. The world really is changing amazingly quickly – mostly for the better – but it’s increasingly difficult for everyone to keep up, even relatively tech-savvy grown-ups such as me or your own parents. The problem isn’t so much the technology as lack of bandwidth – there’s so much proliferation of content across multiple channels and not enough time. And when someone like Facebook does try to curate content on our behalf, many of us reject it (well, I do, anyway). I did give Snapchat a go – and I know a few older people who use it – but it just wasn’t for me and it fell by the wayside. Twitter’s much more my medium of choice, and that’s partly as a user and partly because it is a key promotional channel for bloggers (hence the barrage of self-promotional updates from fellow bloggers). I vaguely remember Touch, but that quickly disappeared, didn’t it – much the same as MySpace, Bebo, Path and many other new social media channels either shrivelled or never really took off in the first place. Now if only I could work out exactly what the point of Periscope is! I’ll have to get some lessons from you when we see you next month. I was so late to twitter that I haven’t ever known it be different to how it currently is. Before I started blogging I only used social media to communicate with my existing friends- if a stranger had approached me via social media I would have got the fright of my life and blocked them immediately. Now I’m interacting with lots of new people via my blog or theirs or through twitter and occasionally Facebook. Social media has broadened my horizons in terms of meeting new people…..,however I hate what it has done to human interaction. I have very few friends who I can socialise with without them constantly checking their phone…. This is my real beef with social media. It’s definitely a double-edged sword, as you say. So many of us are constantly checking out phones when we’re out (I’m guilty of this too), and it’s completely redefining what is and isn’t acceptable in face-to-face social interactions, not to mention issues of privacy when you can now use Periscope to live-stream broadcasts without asking people’s permission first (something that causes major copyright issues around illegal live-streaming of pay-per-view TV, as happened with both the recent series of Game of Thrones and the Mayweather/Pacquiao fight). I think that’s definitely the case. I remember when Tots100 added Instagram followers to their ranking algorithm last year, there was a mad rush of people flocking to IG and posting images left, right and centre. I’m in the happy position where I have no major ambitions to monetise my blog so my main focus is on improving myself as a writer and interacting with others, both on my blog and theirs. Of that means I get more views and followers, great, but it’s the actual interaction I’m most interested in rather than the stats that arise from it. I won’t criticise others who are trying to make an income from blogging and who therefore need to be more focussed on numbers, but it is just a shame that sometimes promotion comes at the expense of interaction. But social media will evolve on it sown if people feel they’re no longer getting value from it – we will vote with our feet (or thumbs, anyway!) and existing channels will either die or be forced to adapt accordingly. It is definitely easy to overload people with irrelevant stuff on social media. That’s one of the reasons I have separate Facebook pages for my blogs, so that I can post all my family stuff on my parent blog page and only add stuff selectively to my personal profile. The same goes for Twitter. It means I may not have as many followers than if I had all my profiles combined, but what they’re seeing is relevant to them, which is important in a world where we are constantly bombarded with white noise on social media. I wrote about this today too! I think people must be noticing that social media seems to have become a new form of marketing. As to your point about promotion, I try to make sure I only tweet a link to a post I’ve put up no more than twice a day, at either ends of the day to catch different time zones, but I like to have a ratio where if I want to tweet a link to something of mine, then I have to share links to at least five things by other people that I think anyone who follows me might find interesting. Bizarrely that’s easier on Facebook but I guess that’s because I know my friends and I know what they’re into. I like to share stuff that’s relevant otherwise why bother? Absolutely. There’s nothing wrong with sharing your own posts, as long as it’s balanced with other updates and sharing other relevant items. It’s interesting to get the perspective from the younger generation who have grown up in a social media world, and that employers are looking for active presences on social media. A lot of employers still don’t really understand social media fully, other than that it’s a big thing that can revolutionise the way we interact with customers and share information with them. You have to remember that a lot of senior decision-makers in organisations are from an older generation who don’t always necessarily ‘get’ how social media works, other than that we know we need young people who are skilled in it! I feel the same. Social media has so many positive aspects, which is a bit part of why we persist in using it despite its downsides. I think these things are a bit like a pendulum – when things swing too much one way, they eventually swing back the other to compensate. Social media will always be subject to the whims of its users – and if it starts to turn people off, they will either modify their behaviour or walk away. I know what you mean, but we can each play our part by seeking out conversations ourselves. It’s just finding a bit of time to do it! I think you gradually learn how to filter stuff out. I make a habit of occasionally culling my Twitter follows to remove people whose updates I never read and I no longer feel the need to read everything in my timeline – sometimes I will just duck out for several hours and not bother catching up later. Strangely the world survives without me. It’s definitely a case of finding the right balance for you and not letting it take over your life, and to seek out and engage others rather than waiting for conversations to come to you. I’m very guilty of using certain channels exclusively for self-promotion. Instagram – rarely, Facebook – often, Twitter – well, I only tweet once or twice a day but long gone are the times I would converse; I just tweet and run I’m ashamed to say! It’s just so fast paced. Personally, my favourite social media platform is Facebook. From a blog POV I like Instagram. But I agree that when it comes to Facebook it’s getting so difficult to see what’s going on in a chronological order! I avoid Facebook News Feed and always refer back to the Most Recent feed, which is cluttered but at least I can see everything rather than what Facebook thinks I want to see. I use Twitter a lot for promotion and Facebook and Instagram a bit, but I’m making a conscious effort to engage people more in conversation when I can, and to always reply to comments, time-consuming though it is. The interaction is one of the things I have always enjoyed most about blogging and social media. I always reply to comments, too, and any notification really. There might be the odd tweet I miss, but I hope not! Oh, I’m sure I miss plenty – but people see when you make the effort, and although responding to blog comments probably takes me at least 20-30 minutes every day, I like to think it’s time well spent. This. I have found that the majority of my followers are fellow bloggers and we don’t seem to be the best at engaging with one another, do we? It seems the more I try to start conversations, the less chatting there is! I must admit, Twitter isn’t my strong suit, as I get bored trying to find meaningful tweets to reply to. However, Twitter doesn’t hound you for money like Facebook does! I would love to see everyone become more social…and remain respectful while doing so! I’d like that too. Without forcing it, I try to have at least a couple of conversations a day on Twitter and I make a point of always responding to comments (or, at least, any comments made with a modicum of thought). It’s the social part of social media that I have always enjoyed the most, so I like to live by my own example. You raise a good an interesting point! I guess social media platforms are the vehicle and we choose to use or misuse as we wish. There’s definitely a culture of things being quite anti social with it all though. It can be that way sometimes: people who only push themselves/their blogs, never respond to comments or replies and so on. I know we’re all constrained for time, but I’d rather write one or two fewer posts a week and spend more time interacting with people than just churn out a load of stuff and expect people to come flocking to me. I miss the old Twitter too but the reality is that we will never get back to those days when it was new and relatively exclusive and before we all became professional content pushers. I think all we can do is to behave the way we would like others to behave and wait for things to evolve again, as they inevitably will, and hopefully for the better. Haha, and that’s the problem, isn’t it? After promoting all your posts, how much time is there left for an actual conversation? The simple (and only slightly glib) answer is to write fewer posts. I see many bloggers who have been drawn into the cycle of writing a post every single day, just because they see other people doing it or because they read that’s what they have to do in some ‘how to’ guide. And yet you never see them reply to comments or engage with other users on Twitter because they’re too busy writing tomorrow’s post, and you can tell by the poor quality of many of their posts that they are just churning stuff out without any real care or thought. Then they wonder why their numbers aren’t growing, so they think the solution is just to write more – quantity over quality. As a reader, you can usually tell when someone’s just dashed off a post just to tick a box, and when someone has put care into crafting a well thought out post and then engages people via comments or in conversation on Twitter or Facebook. Yes, it takes time – but it matters and it makes a difference. Just as it matters when someone takes the time to listen to your needs and deal with them personally, rather than just shoving you out of the door as fast as they possibly can. Well you know what happened to me lately with Halfords. It wasn’t quite as miraculous as I’d hoped initially but I definitely felt empowered in some way by the immediacy of the contact. It really is quite exciting to feel like we live in an era when such things are possible and nice to think about the positives of technology rather than the negatives for a change. Thanks for linking this one up with #thetruthabout Tim – it has clearly struck a chord with a lot of people. It took Halfords a while to get their act in gear but they did come through in the end – and I suspect that might well not have happened in the days before social media, or certainly not without having to kick up a lot bigger fuss. It was just a shame their response couldn’t have been a little more immediate. Tim, I just wish you’d stop writing about social media and LOOK AT ME. By the way, I’ve got some more self promotion tweets going out if you could take a look. I feel like it’s a necessary evil if you want grow your blog audience, but it frustrates the hell out of me. What about Periscope, have you checked that out yet??? I’ve checked out Periscope but I’m waiting for it to develop a little before giving it a proper look. I’ll keep half an eye on it for now but there’s not really enough happening on there yet for me to be overly interested so far – too many other calls on my time. Completely agree, think there is alot of positives and negatives!! I hate it when people seem to follow me just for a follow back or they follow and unfollow me about 50 times so I add them! Very rude and surely against social media etiquette! Ooh, that annoys me when people repeatedly follow and unfollow and refollow just to catch my attention. If I’m going to follow someone, I’ll do it the first time or possibly the second. Any more than that and I’ll be reaching for the block button rather than the follow one. It can be a big of a hard slog sometimes but it’s still worth the effort. I’m always happy to RT stuff I really like and that I think my followers will like too but I don’t like being shouted at repeatedly to do it and I’m deliberately selective so that my timeline isn’t just a never-ending string of promotional posts and RTs. That’s one of the reasons I still use Twitter so much – beyond all the promotional stuff that’s part and parcel of being a blogger, I still love the random conversations you can have with people sometimes. It does seem sometimes like we’re all too busy accumulating followers to interact with them. I probably have a core of around 100 people on Twitter and Facebook who I actively interact with on a regular basis, but if someone strikes up a conversation with me I’ll always make an effort to respond. It’s a shame – I think some people get drawn into the trap of shouting ever louder rather than actually stopping to listen and converse. Ah well. Wow I certainly missed this post the first time around but certainly resonates with me right now! I have gone off Facebook from a personal account perspective as it seems a lot of showboating, and twitter really does seem like a constant stream of blog post tweets! I guess that is why I am loving Instagram and Snapchat (yes really) a lot more! As always Tim a great post! Ha, we all do it – but it’s just about finding the right balance so that self-promotion isn’t all we do. You’re fine! A few times I’ve asked of there are some chats on Twitter to join. I dont mind the promo stuff but sometimes I like to chat and learn etc. Social media is a great tool when used well. It is indeed. And as with so many things it’s about balance. Promotion is fine but I think it’s well worth taking the time to actually engage with people and not just bombard them with links. Excellent points! I’ve used social media for many years; but just recently I’ve been trying to become more “professional” with it. Any advice on how to avoid becoming less social with my social media? Simply, engage with others and remember that social media is as much about two-way conversation as it is abour shouting about ourselves or our latest blog posts. It’s the same as being with people in real life – while everyone loves a character who tells stories about themselves, if they don’t let anyone else get a word in edgeways they soon become boring. A lot of it now is about numbers. How many followers, how many FB friends etc. I had a Twitter spring clean this year. Unfollowing those that just post For clicks, it’s made it a much more pleasant experience. Journalists, especially the sports variety, are the worst. Just post something controversial (throw in the name of one team in particular) and you’re guaranteed hits not matter what you’ve written. I’ve started to manage my Twitter feed much more recently instead of just complaining about it. I’ve unfollowed or muted about 1,000 people over the last couple of months and refollowed non-blogging accounts I used to follow from my other (now defunct) profiles. It’s made a huge difference to the balance of my timeline, and for the better.